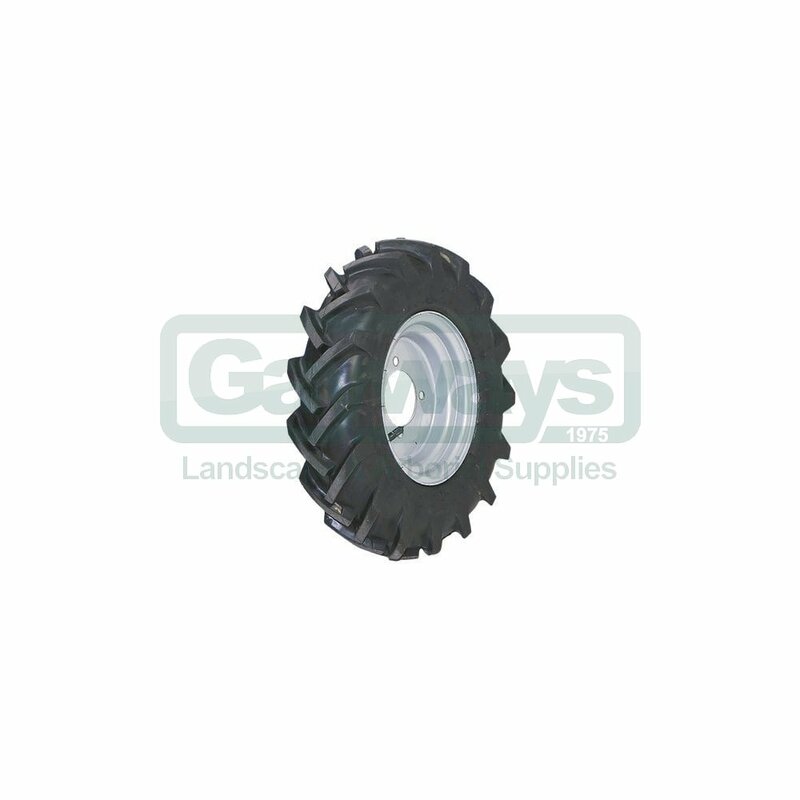 These pneumatic wheels are especially suitable for agricultural use as the tread ensures good grip on both hard and soft terrain. The size of the wheels on each BCS power unit is very important. The wheel size can determine whether a specific implement can be operated by a particular unit or not. 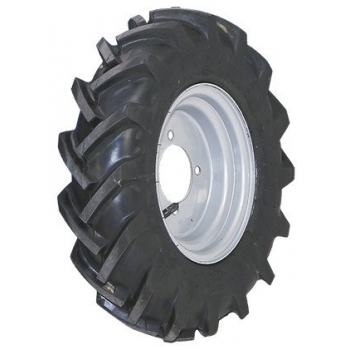 The larger wheels provide more height, and so increase the versatility of the tractor. For example, something like the flail mower would need at least 5.00 x 10 wheels to operate effectively. Wheel sizes can also dictate the wheelbase width. There are four sizes of pneumatic wheel available: 4.00 x 8, 4.00 x 10, 5.00 x 10, and 6.50 x 12, and these are supplied as a pair. Other wheel options are also available, including turf wheels, flotation wheels, lug wheels, steel bank wheels, and spade lug wheels.